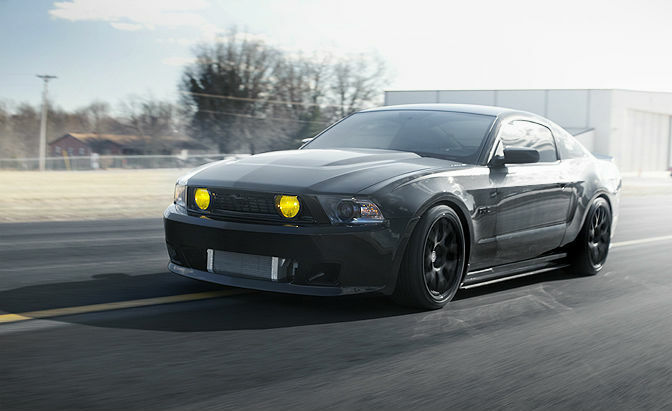 Mustang RTR-C by Mr.Vaughn Gittin! - Muscle Cars Zone! Mustang RTR-C by Mr.Vaughn Gittin! 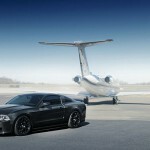 The Mustang we are going to talk about today was a great wish to the builder, Mr. Vaughn Gittin, for a long time. 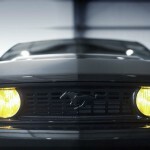 What he really wanted to achieve was to build a good-looking Mustang that will have more modest price. The idea with which Mr. Gittin started was to build a really cool Mustang that will be suitable for every occasion and that people will not resist loving. 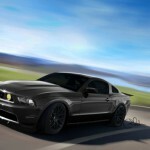 So, the Mustang RTR-C begins with a Mustang GT that was taken to Autosport Dynamics and underwent a complete makeover. Every single part was replaced with elements made of high-quality carbon fiber for which expenses were not meant to be spared. The car is to feature a 5.0 liter 4 valve engine that will be able to produce more than 650hp which is amazing for a car that weighs unbelievable 3355 lbs. The engine will be also equipped with a Ford Racing Supercharger kit. As for the interior, the author of this vehicle wanted it to be smooth, fashionable and elegant. Sparco was responsible for building the adjustable leather seats. Honestly speaking, the author of the machine said that he firstly wanted to keep this car for himself. But, when he finally saw the product he decided that sharing it with everybody would be the right thing to do. So, it was decided that this vehicle will be a limited edition product which will be produced in 10 units with price of $113k for each. Having minded the materials and the quality of all elements of the vehicle it is not that expensive.